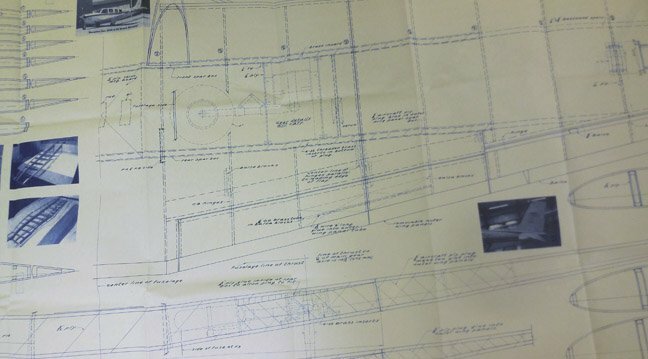 Well drawn plan set for Hostetler's Navion. Specifications for the Navion are: Span: 108.15”, Weight: 28 to 32 lbs., Length: 88.29”, Wing Area: 1855 sq.in., Power 3 to 4 cu. In.